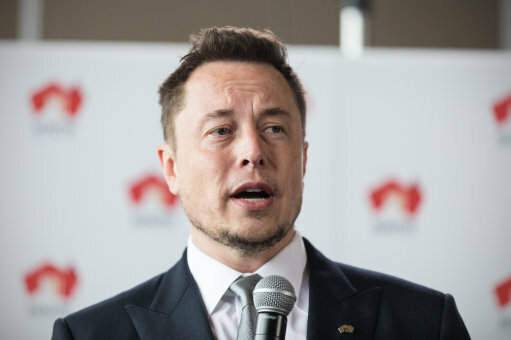 Elon Musk is as close to Tony Stark as we’re going to get, and it really wouldn’t surprise me if he turned round and made an Iron Man suit tomorrow. In the meantime, we’ll have to make do with this pretty amazing footage of Elon Musk‘s proposed rocket that is going to take humans to a galaxy far, far away. Okay, maybe not that far, but to Mars, which is still damn impressive. 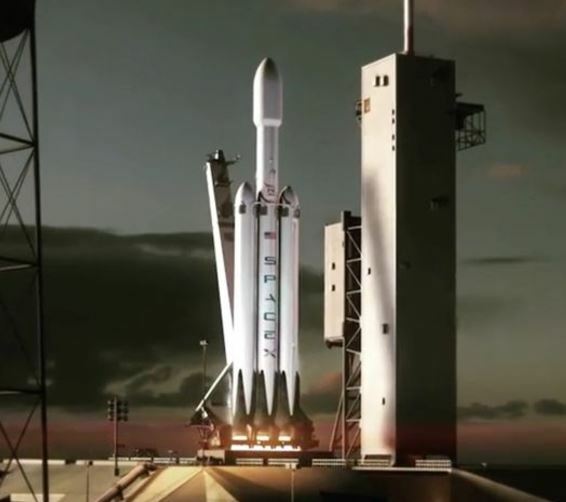 The video is actually a ‘first draft animation’ of the ‘Falcon Heavy’ rocket from his space exploration company SpaceX. The design is three Falcon 9s strapped together. There are 27 engines on this sucker. Apparently, the Falcon Heavy can create five million pounds worth of thrust – which does sound like an awful lot of thrust. If, like me, you need context for your impossibly big statistics, that’s the rough approximation of eighteen 747 airliners. The animation literally looks like something out of a sci-fi like The Martian or Interstellar, only better because it’s going to be real one day. In the video we see the rocket blasting off like we’ve seen millions of times before in fiction. As it ascends, the boosters detach from the rocket and fall away to return to land in tact. The bigger booster goes further up into space before it also detaches and falls to Earth before landing safely. 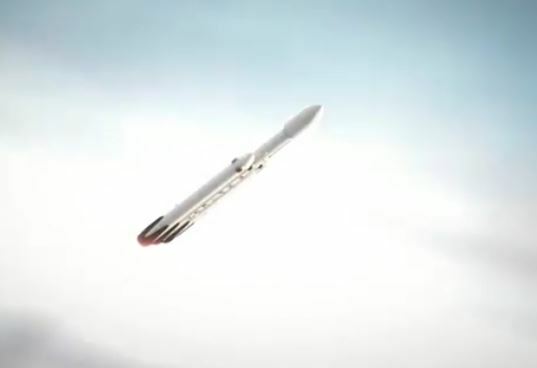 That’s one of the amazing things about Musk’s efforts with all of his SpaceX ships, he’s trying to make the individual parts of the ships reusable. That’s a big deal because it would be significantly cheaper to reuse parts of rockets than it would to build from scratch every time. This would make it so much more affordable for everyone, which is the ultimate goal of the Falcon Heavy. SpaceX’s first plans are to fly two tourists around the moon – which could take place even next year. 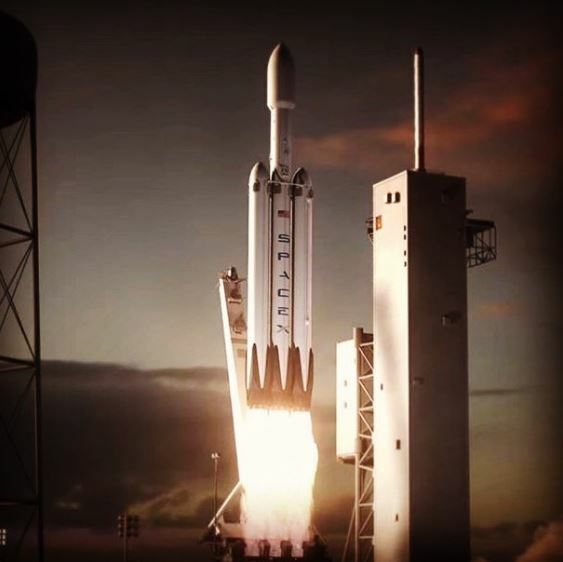 The Falcon Heavy’s first voyage is expected to take place in November of this year. With Dragon launched on a Falcon Heavy, it can go pretty much anywhere in the solar system, because that’s a heck of a big rocket. That’s equally exciting and terrifying. It’s certainly not for me, but I’ll definitely be watching on TV when it happens.